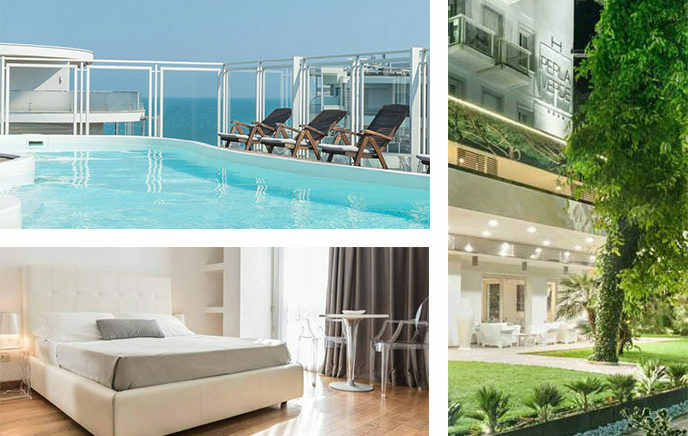 While all our partner hotels are sold out, we recommend booking at Hotel Aurelia which is very close to our partner hotel MarePineta in Milano Marittima. They offer special rates, Euro 100 for single occupancy and Euro 120 for double occupancy including breakfast. Booking details will be shared once registered for the Summit. 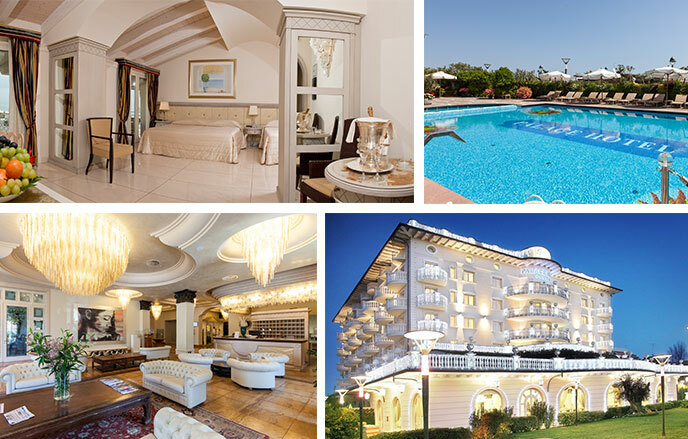 The Global Wellness Summit is pleased to offer registered delegates special, negotiated room rates at beautiful hotels in the seaside town of Milano Marittima: Palace Hotel, Perla Verde Hotel, and MarePineta Resort. We also have rooms reserved at the Grand Hotel da Vinci, in nearby Cesenatico. These unique hotels offer the warmth and charm of authentic Italian hospitality. The Global Wellness Summit will provide daily transportation to and from Technogym Village. Delegates must be registered for the 2018 Global Wellness Summit in order to reserve a room. Please note that reservations are on a first-come, first-served basis, so we encourage you to book early. You can register for the Summit here. The GWS has reserved a number of rooms at each of these hotels. More information about the booking process including a booking contact at each hotel is provided in your welcome email once you register. Located in the heart of a green and ancient pine forest, this historical hotel rises a few steps from the sea and the lively center of Milano Marittima. The rooms are modern and elegant. The hotel, which features a rooftop pool, is located only a few steps away from the beach and a short distance from the town center of Milano Marittima. Located in the heart of Milano Marittima, on the beach, a few steps away from town center, this luxurious hotel showcases beautiful early 20th century architecture. Inaugurated in 2013 and belonging to the Batani Select Hotels group, this luxurious hotel is located right next to the sea and overlooks the romantic canal of Cesenatico, designed by Leonardo da Vinci in 1500. Delegates must be registered for the 2018 Global Wellness Summit in order to hold a room. If you have any questions, please contact Beatrice Hochegger at beatrice.hochegger@www.globalwellnesssummit.com.